Who predicted last night’s Sugar Bowl upset? Why, the Florida Gators did. Due to recently starting a new job, moving to a new city, and spending most of my free time beating Uncharted 3, I have not been able to chronicle my Sugar Bowl experience until now. But as promised, here it is. For those of you who for some strange reason anticipated this article, or even remember that it was supposed to be written, enjoy. If your team ever makes it to the Sugar Bowl, you need to go. Even if your team has little to no shot of ever making it to the Sugar Bowl (I’m looking at you Vandy), try to tag along with a friend who went to a school that doesn’t use the bounce pass as its primary way of trying to move the ball forward. Anyway, the Sugar Bowl combines the best components of Mardi Gras with the best components of going to a college football game. Adult beverages flow liberally from any one of the many establishments on Bourbon Street, and you should be sure to try New Orleans mainstays, the Hurricane and the Hand Grenade. 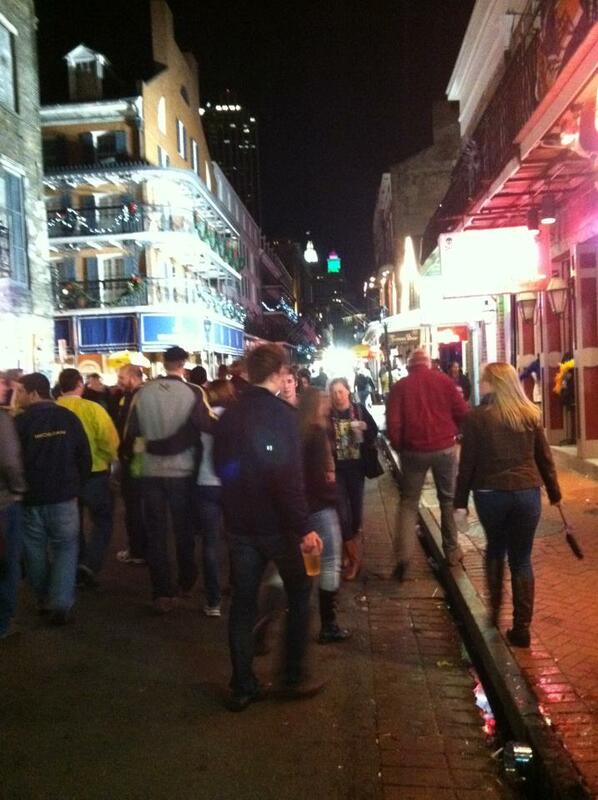 While you are hanging out in the French Quarter, you will get to enjoy many of the gameday traditions that you have been accustomed to, whether it is chanting “Go Blue” or doing whatever Virginia Tech fans do. All of this combines to produce a unique bowl game atmosphere.